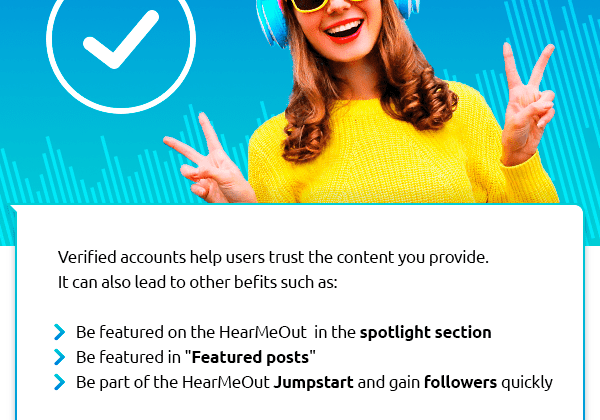 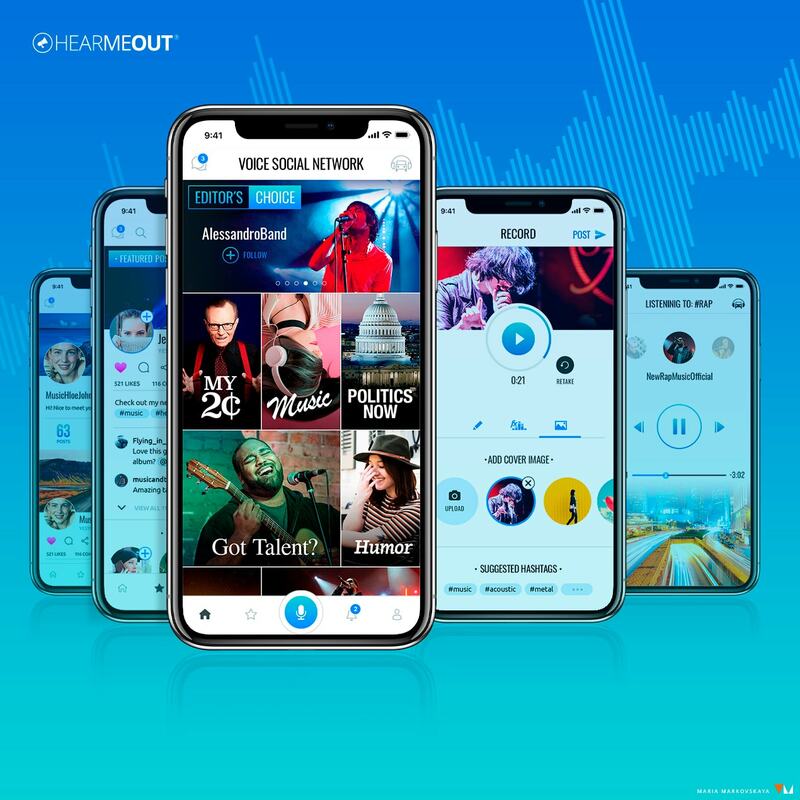 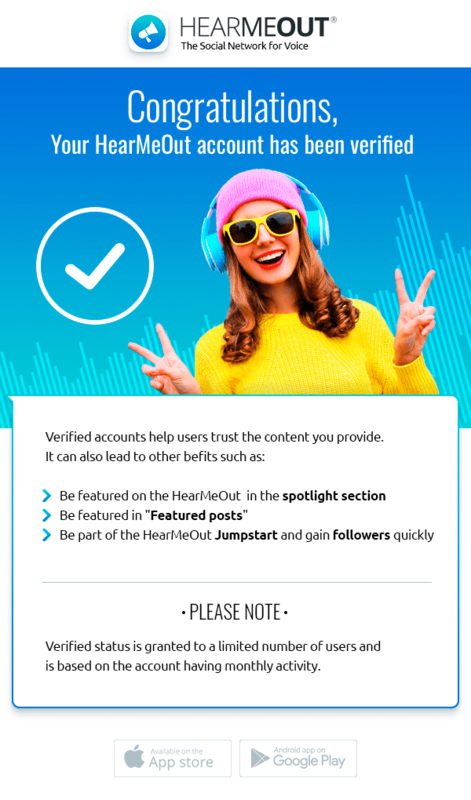 Mobile Interface Design for HearMeOut – Voice Social Network. 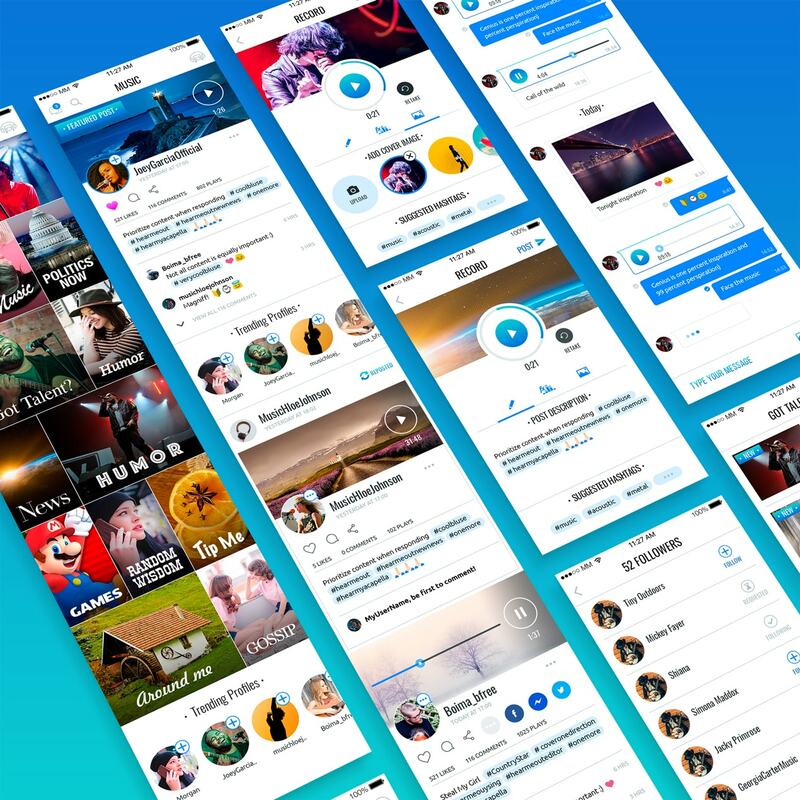 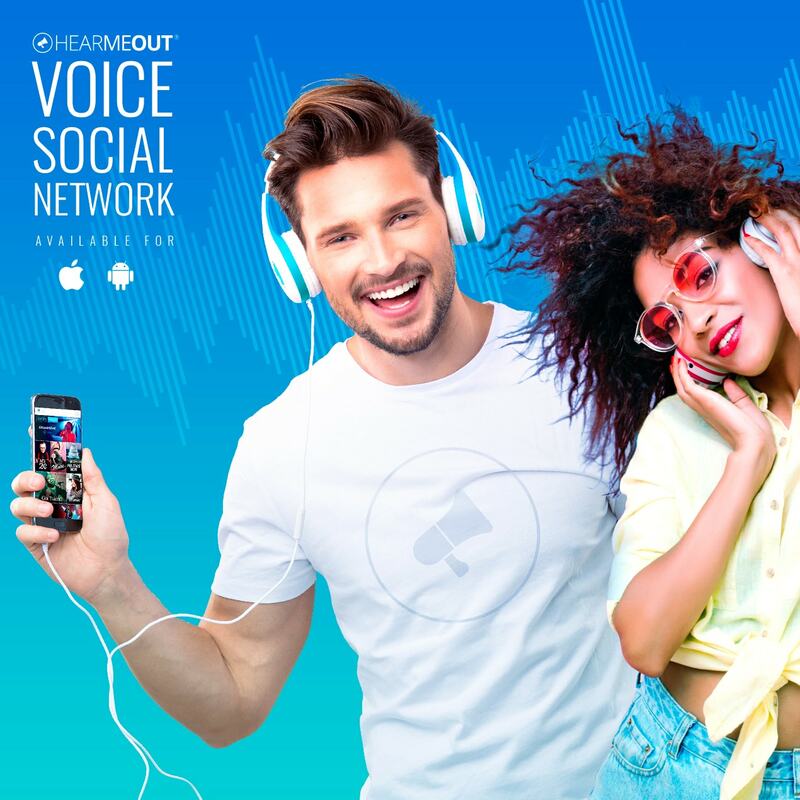 The social app where content gets a voice and where people come to listen and be heard. 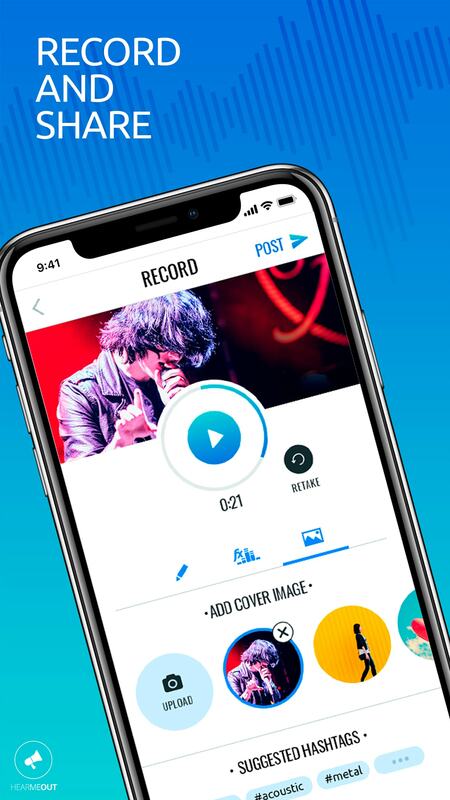 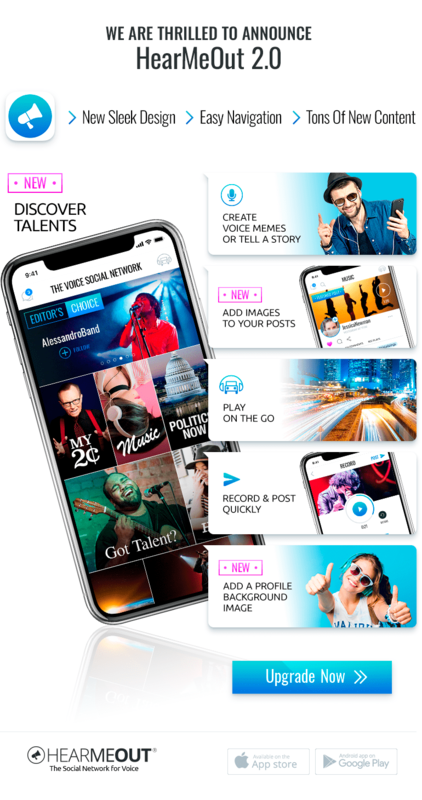 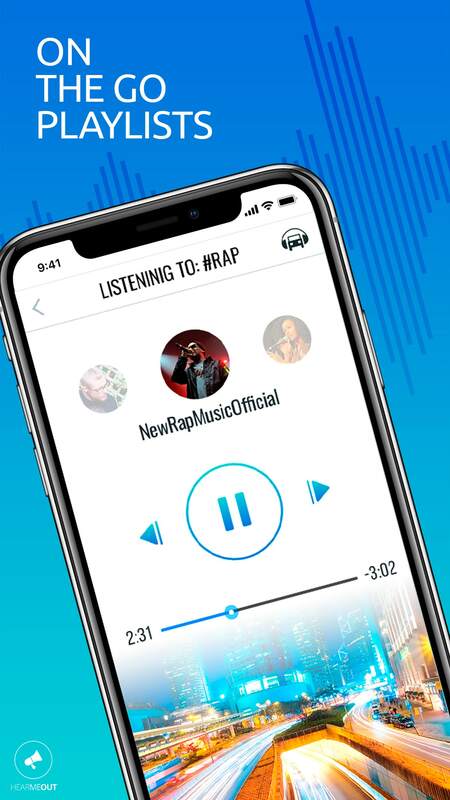 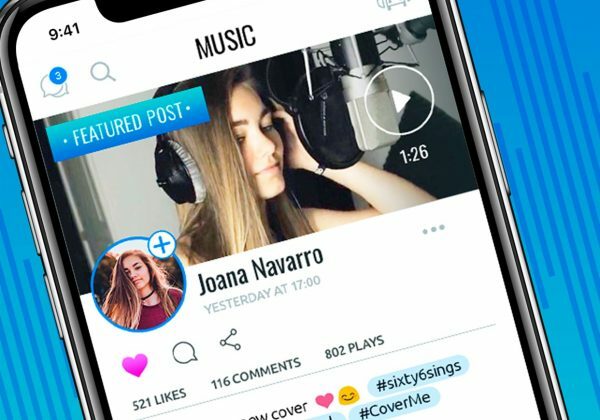 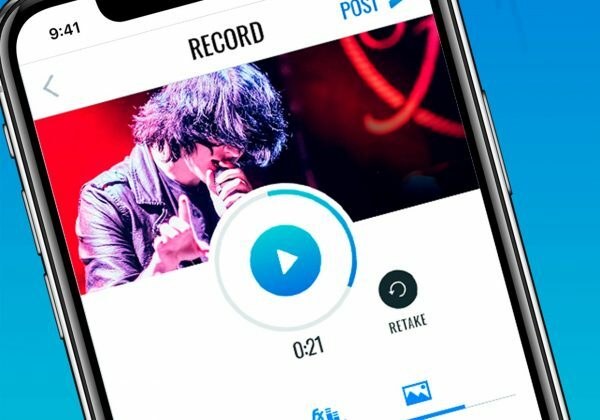 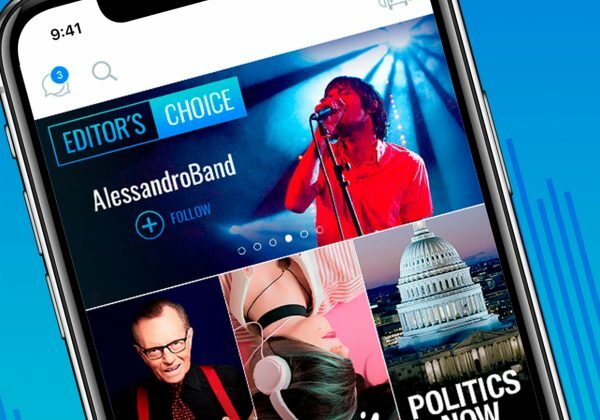 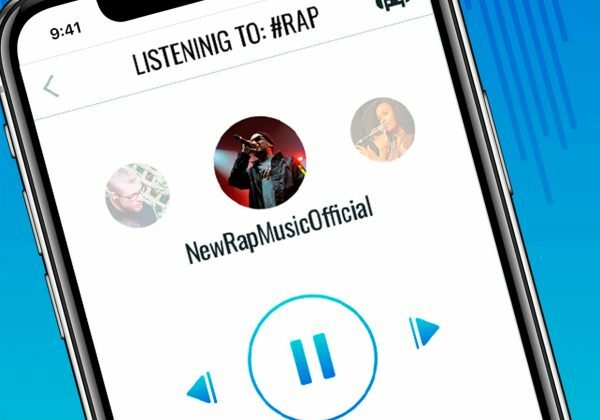 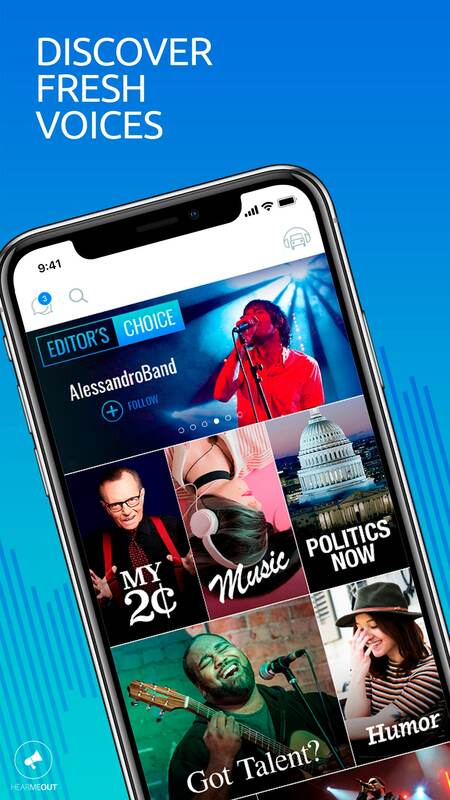 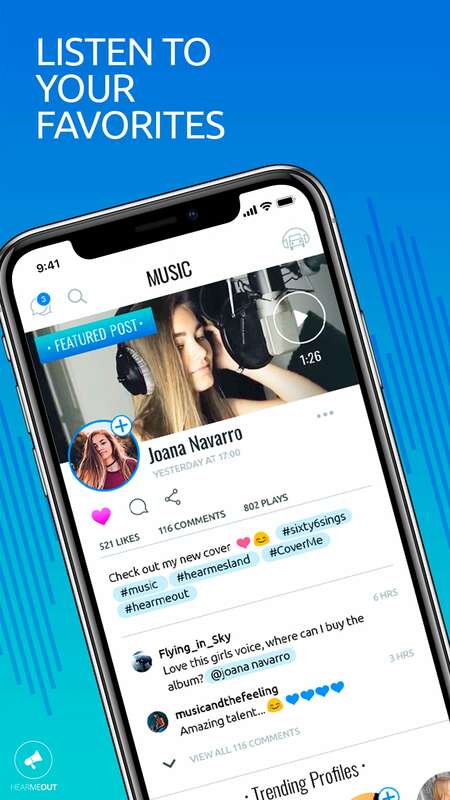 Discover rising talent and listen to music, news, celebrities, comedy and much more… Share your own voice with the world – record whatever you want, add images and voice filters. 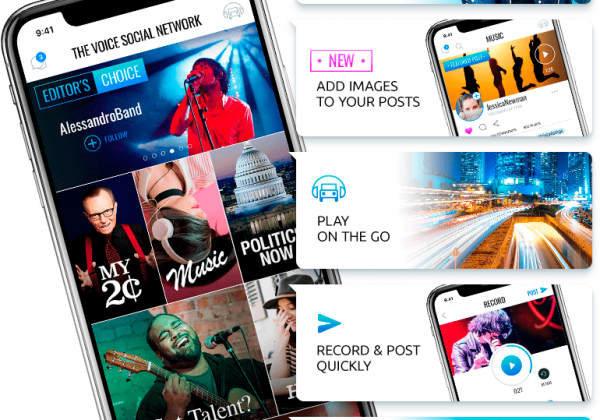 Easily share your posts on your other social networks.